A day late, but worth the wait. The next will be on Sept 2nd. The Wikli is an informal e-flyer with news for neighbors. Anyone can contribute, and anyone can edit. Subscribe to the Wikli. You'll get one email per week. Future — to reserve a post in a future Wikli, use the Wikli tickler. and Citizens post more events all the time! In the calendar, you can click through to each event's online information. If a local event is missing, please send a Citizen's alert. Starting Friday 8/21, we've got Quentin Tarantino's Inglourious Basterds. Who knew Brad Pitt was single-handedly responsible for winning World War II? Bizarre, edgy, Tarantino-ish fun ala Pulp Fiction and Kill Bill. Julie & Julia and District 9 continue for another week. Look for The Hurt Locker on 8/28. Be sure to check our website for the most up-to-date movie information! Or, better yet, sign up for our weekly newsletter and get movie times delivered straight to your inbox. Summer is winding down with the sweetness of peaches and this week Rama Farms returns with their amazing stone fruit. Also at Market: loads of crisp, sweet corn and crunchy sweet and tart apples, signaling the beginning of apple harvest! And please join us for a cooking demo featuring Chef Gerold Castro of Kawali Grill as he cooks with carrots 4-6pm. Please don't park in the Bank of America parking lot. That lot is reserved for bank customers only until 6pm, and market shoppers will be towed. All locations of The Seattle Public Library will be closed due to budget cuts Aug. 31-Sept. 7. For more information, visit www.spl.org or call 206-386-4636. Play and Learn Thursdays August 20th and 27th from 10:30am to 12pm. Grupo Bilingüe de juegos para padres y cuidadores con niños entre las edades de nacimiento hasta 5 años. / Bilingual play group for ages birth to 5. Summer Reading Come to the library for your last chance to sign up, find out about summer events, and win prizes! 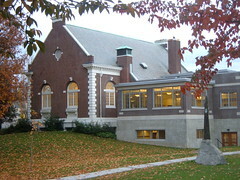 Library programs are free and open to the public. Everyone is invited to attend. Music for Everyone offers music classes that inspire young children and their parents/caregivers to dive into music exploration together! 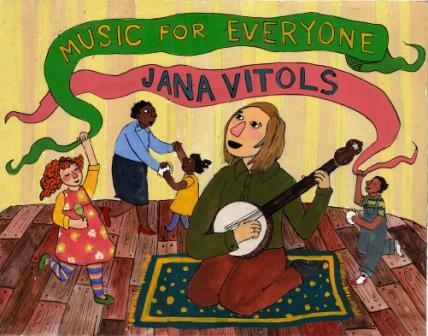 Musician and teacher Jana Vitols has taught families since 1998, encouraging them to sing, play instruments, and discover the connections between music and movement. Music fundamentals are woven into games, songs, stories, and puppet play. Children are given opportunities to play instruments and dance, with the live accompaniment of guitar, violin, and banjo. The curriculum draws from classical, folk and world music and dance traditions. Please join us on Sat, August 22nd (5-8pm) at the Columbia City Gallery for an Artists' Reception. 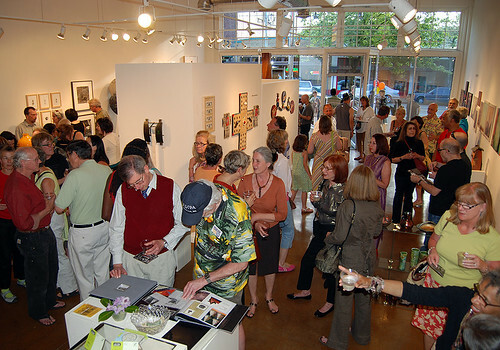 Masked features gallery artists Mark Ditzler, Elizabeth Halfacre, Elinor Maroney, Sultan Mohamed. Out of the Fire: works by the Washington State Enamellists Society, highlights the work of 18 artists who create sculptures, two-dimensional wall art and jewelry in enamel. The exhibit includes various techniques of enamel work, including: cloisonné, basse taile, and plique-à-jour. This event is free and we encourage the public to attend. The 2009 Garden Tour is August 22nd! The cost will be $7 per person. Formerly the Columbia City Garden Tour, this year we are expanding to encompass the diverse gardens of the Rainier Valley — both private and communal. Co-sponsored by Sustainable South Seattle, this year's focus is on sustainable garden practices. Brit Tzedek v'Shalom's monthy Film and Discussion Salon presents The Lemon Tree, at Columbia City Cinema, Thursday, August 20, 7 pm. This is a monthly series focusing on Israel and work for Israeli-Palestinian/Mid East peace. Free; donations are welcome. Only 50 seats, so rsvps are recommended: 442-2077 or gro.molahstb|elttaes#gro.molahstb|elttaes. read more... (synopsis, awards, and critics' reviews). Columbia Plaza, Empire Espresso, Sushi and Thai, all in one place! This Friday 8/21, our neighborhood Landmark District review committee will consider four different items. Demolition and Preliminary Design: Proposed demolition and preliminary design of the Columbia Plaza site. The proposed redevelopment consists of six interconnected mixed-use buildings, including ground floor retail, live/work units and upper level residential units. followed by review of signage and minor alterations to Empire Espresso, Wabi Sabi, and The Spice Room. The agenda says they start at 4pm. They meet in the basement of the library. Come see the proposed park designs for 46th and Juneau! There have been two community meetings so far about the proposed park at 46th Ave S and S Juneau St. Neighbors are working with landscape architect John Barker on making a fun park that reflects the diversity and spirit of the community! After lots of input and innovative ideas from folks, we've narrowed the park designs down to one which incorporates as many of the community ideas as possible. This proposed park plan will be up for community comment on August 26th, Wednesday, 7pm, at the park site (46th and Juneau). The Healthy Parks, Healthy You Fair runs from 2pm until about 5pm. We're playing at 3:30, but there are two other fun, healthy acts before us! Make a day of it and eat some veggies before you rock (but not while you rock). What a beautiful setting to dance at this amphitheater! There have been a great number of changes since the original plan was created over a decade ago. While many of the principles and strategies still make sense, we also have the threat of global climate destabilization, the new light rail station, the listing of salmon as an endangered species, and the recent financial market collapse. Great homey space for massage, naturopathy, counseling or other healing work. Fully equipped with recliners, massage table, sink and bathroom. 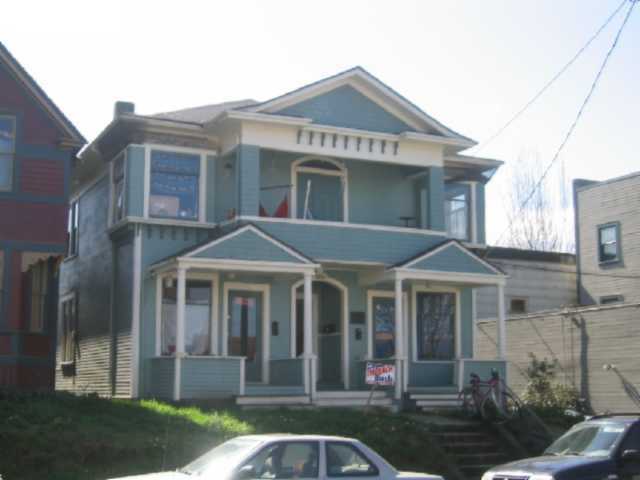 Home of the Community Acupuncture Project of Columbia City. Located in the historic district of Columbia City at 3811 S Ferdinand St @ Rainier. Close to light rail, bus lines and street traffic. Interested? Contact Sonja or Angie at 760-6064 or moc.liamg|llaroferutcnupuca#moc.liamg|llaroferutcnupuca to see the space and learn more. Join us for the Othello Park International Festival this Saturday, August 23 from noon to 6pm at Othello Park (4351 S Othello). There will be food, dance, games , prizes, entertainment, booths and more. Live music on stage throughout the day wll include Mariachi Colima, Supersteppers, Captain Leroy's Zydeco, Vovinam Lion Dancers, Adefua, Girls Steel Pans, Kreative Khaos, Audio Couture, and more. There will be free food as well as a dinner served by Plaza Garcia for $3. All the while a herd of friendly goats will be grazing on the hillside. More info at our website or by calling 992-7034. Please join us for an exhibition that promises to re-energize how we think about our transportation system. On Saturday, August 22nd a Low Impact Vehicle exhibition (aLIVe) will be at Seward Park from 10am – 3:30pm. The term "low impact" has a dual meaning describing both the impact of a vehicle on a pedestrian, as well as the environmental impact. The implementation of low impact vehicles would generate a huge range of public benefits, including increased mobility for transit and freight. A bicycle is a low impact vehicle, but what else can we imagine? Artists, inventors and community members envision a new type of transportation system designed around the human body. Everything from poetry to prototypes will be on display! Cierra Sisters, Inc. is an African-American breast cancer survivor and support organization, conceived and founded by Bridgette Hempstead, a breast cancer survivor. "Cierra", an African name meaning "knowing" reminds us that when we have knowledge, we have power against the effects of breast cancer. We welcome all cancer survivors, supports, caregivers, family and friends. Rainier Community Center, 4600 38th Ave. S.
Please come out for the Annual Aki Kurose Middle School cleanup to help beautify the grounds for the new school year! We begin on August 22nd at 9 am and will finish around 1pm, and we'll provide food. Questions? email moc.liamg|namhtorirom#moc.liamg|namhtorirom We would much appreciate any gardening tools, gloves or equipment. The Times outlines Columbia City deals for light rail users. A driver takes Seattle Police to task for pain and distress in the neighborhood. The Displacement Coalition touches on the neighborhood's low income housing in the PostGlobe. Amber at the Rainier Valley Post says she doesn't want direct links from the Wikli's blogossiphere over her concern that gossip just isn't her brand. We still encourage you to check out her blog. Site members can update their own posted comments, send private messages, upload small files, and have broader write-access across the wiki. It's easy to join. abbeynorris updated the Charlestown Hillclimb page to fill you in on this amazing neighborhood project. 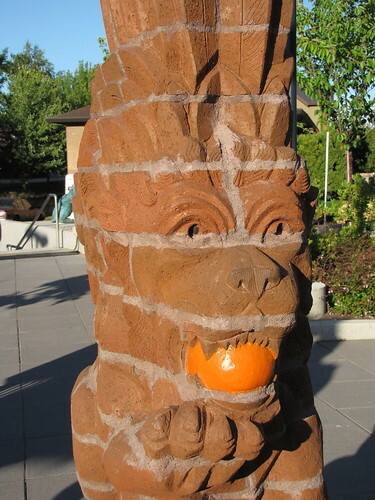 Sustainable South Seattle have been hard at work, and KateK reports on their thriving fruit harvest. New photos in the Citizens' gallery. Trying to edit this Wik i? This Wikli's content is now fixed, but anyone can post to the next one.